At least Wall Street avoided another scary sell-off. Stocks inched just fractionally higher on Wednesday, shaking off early jitters caused by more trouble overseas. 1. Retreat mode? Just a few weeks ago the S&P 500 appeared to be on a path to break through the 2,000 mark for the first time ever. Now the index of U.S. stocks is having trouble keeping its head above 1,900 (it closed at 1,920 today). Similarly, the Dow, which crossed 17,000 for the first time in early July, is stuck below 16,500. Things looked gloomy on Wednesday morning as stocks extended their Tuesday tumble, which was fueled largely by tensions with Russia. 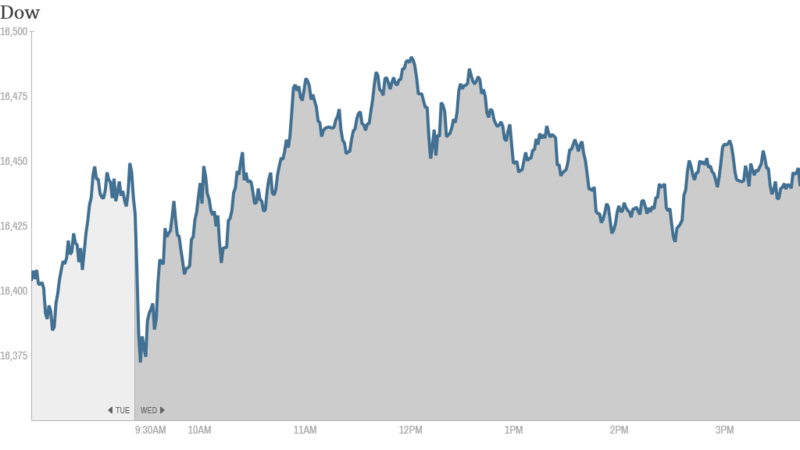 But stocks bounced off their early lows, leaving the Dow, S&P 500 and Nasdaq all slightly higher on the day. 2. Sea of red overseas: European markets tumbled overnight amid fresh evidence of the pain being inflicted by the crisis in Ukraine and slow growth in general. But the major indexes trimmed their losses in recent action. Germany's Dax index fell almost 1% before rebounding somewhat as a new report showed factory orders unexpectedly fell 3.2% in June. The government blamed "geopolitical developments and risks" for the slump. Italy's stock market dropped 2.7% on new data revealing the country's economic fall back into contraction mode during the second quarter. "Global markets are in churn and burn mode this morning as European data has drastically under-delivered and the specter of conflict in the Ukraine hangs dark over the continent," analysts at Bespoke Investment Group wrote in a note to clients. Meanwhile, nearly all Asian markets ended the day with losses. Japan's Nikkei fell 1% Wednesday -- leading the index to a full 3.1% drop over the last five trading days. China stocks were steadier, as they continue to bounce back from first half losses. 3. Late breaking: After the cling bell, Keurig Green Mountain (GMCR) reported solid earnings that beat expectations and reiterated a bright forecast for the rest of the year. But the stock retreated over 4.5% in after-hours trading because revenues weren't as strong as hoped. 4. 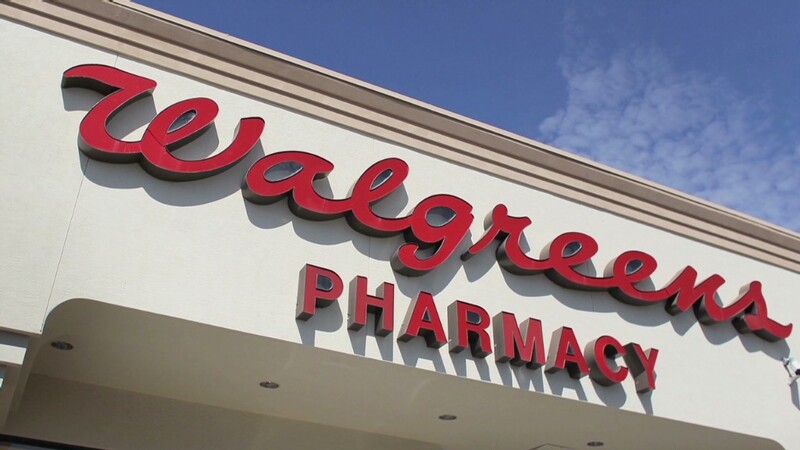 M&A winners and losers: Shares of Walgreen (WAG) plummeted 14% after the company confirmed it's taking full control of the U.K.'s Alliance Boots but will not move headquarters out of the U.S. That news disappointed investors, who hoped the pharmacy chain would shift its base to the U.K. to save money on taxes in a controversial deal known as an inversion. Time Warner (TWX) plunged over 13% after Rupert Murdoch's 21st Century Fox (FOX) announced it has given up on pursuing a takeover of the owner of TBS, HBO, CNN and CNNMoney. Time Warner shares remained under heavy pressure even after logging earnings that crushed expectations amid continued HBO strength. Fox reported good earnings after Wednesday's closing bell. The stock is relatively flat in after-hours trading. A tie-up between Sprint (S) and T-Mobile (TMUS) is also now off the table. Shares of both companies tumbled on the news. That could leave French telecom company Iliad as the frontrunner to buy T-Mobile. 5. Notable movers -- Groupon, Molson, AOL: Groupon (GRPN) investors are holding a fire sale. The daily deals site plummeted 13% after alarming investors with a wider quarterly loss than expected and a gloomy outlook for the rest of the summer. On a more positive note, AOL (AOL) popped 7.5% as Wall Street cheered a 12% jump in second-quarter revenue that easily beat expectations. Investors also chugged shares of Molson Coors Brewing (TAP). The brewer sold less beer during the second quarter but grew profits by hiking prices.